Born in Ireland, riding for New Zealand and based out of Las Vegas, Trent Jones has had been firing on all cylinders of late … building tracks, killing it on two wheels but definitely not vlogging … we hope he definitely is again soon, there’s talent there too. We caught up with Trent to find out about his year, his plans and his thoughts in general on the sport … it’s been two years since the last one. 15: Would it be fair to say this has been a year of two halves for you, although you had some injuries early on, right? You seem to have changed gears after the Worlds, a final in Santiago, some USA BMX podiums and of course the Grands where you were killing it! 15: Should we not ask about your time in Rock Hill then? Trent: Rockhill was one of those events where. I had minimal training time, 5 weeks to be exact, but decided, screw it I’d be kicking myself if I don’t hop on the gate and have a crack … ended up getting flogged long story short. 15: What did you think of the Grands track? Looked like a lot of fun to us. Be honest, how long did you spend in the stands looking at the younger kids pealing off to hit the ‘decision maker’? Trent: In all honesty this year’s Grands track was the best one so far in my books of attending 5 years of Grands! It was fast with some quirky technical sections and room to pass, which was a nice change. I really try not watch others attempt a straight most times they make it look way harder than it rides but was cool to see some of the amateur girls sending it before our first practice on the track. 15: The whole Grands event just looks like BMX heaven to us … how does it compare to the likes of the Worlds? Trent: The Grands night show is certainly BMX Heaven. The 12-hour race days aren’t so much… but what I really do like with Grands compared to worlds is the pure rawness of racing. There are no hill times, no lap times, no federations and the best part … no home track advantages. Just turn up, 1hr practice and then rack up and race. 15: As well as everything else this year you also found time to re-build the Nellis BMX track? Is that something you plan on doing more of in the future? Trent: For sure, I’m actually speaking to my original home club back in NZ as they are wanting to make some changes. It’s certainly something I enjoy doing. Before racing full time I spent 2 years post school building golf courses for Dad on machines. That’s where I picked the skill up. So to be able to use it to build something I know and enjoy is something I’ll certainly keep doing. 15: It’s not hard to find Trent quotes about the lack of jumps or the simplicity of US tracks … why do you think US tracks have gone that direction while Europe and your neck of the woods have gone the more technical route? Trent: It all stems from the top. While everyone wants to ride what they race, for obvious reason to get the advantage to win, the level of the track will stay somewhat basic in the US. 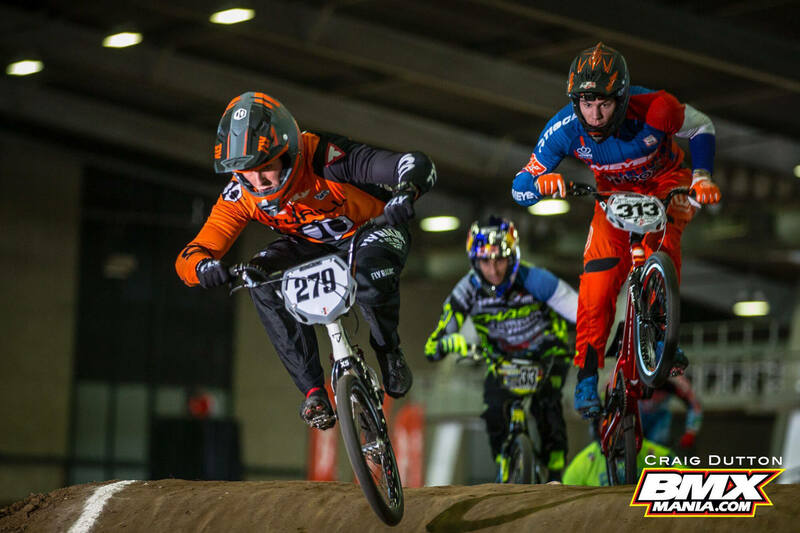 As majority of USA BMX tracks they race on are built to pump through as much racing as possible in the shortest amount of time. Hence a track that’s super tech will lead to more crashes, slowing racing down. But I will say the past two indoor events, Reno and Grands, were certainly a notch above the norm, so props to the builders there! 15: What’s your favourite track to race? If you could build whatever you wanted, what track would you look to for inspiration? Trent: I don’t really have an exact favourite but if I were to build something of a dream race track it would be a hybrid of Rio Olympic, Argentina, Zolder and Old Chula Vista. 15: How’s life in Sin City been since you set up house there … no gambling addiction you want to share? Different to home, huh? Trent: Haha, Vegas is great! For sure if your looking to party on any day at any hour it can be found … but in reality, for BMX it’s an unknown hotspot. Four Tracks within 30mins of each other, always sunny (summer is brutal though, 45 degrees by 10am) and an airport that has direct flights everywhere in the US as everyone wants to come to Vegas! 15: Obviously yourself and Connor train together … do you guys feed of each other and work together or is it head down and try to continually beat each other? You share the same coach too, right? Trent: Correct, Connor and I both work under coach Sean Dwight from Australia. Behind the scenes we feed of each other work together whilst continually trying to beat each other. It works perfectly as Connors strengths are my weaknesses and vise versa. Keep tuned in online, as there will be a video surfacing soon of a glimpse with what goes on in our little training world. 15: Why would you alternate crank lengths from 175 to 180 … what’s the though process behind that? Trent: There’s more than one way to skin a cat really. The old rule of long legs you should run long cranks or short legs, short cranks. It’s more finding the happy medium on where you are at in physical/technical form supplemented by bike set up to get the most out of it. 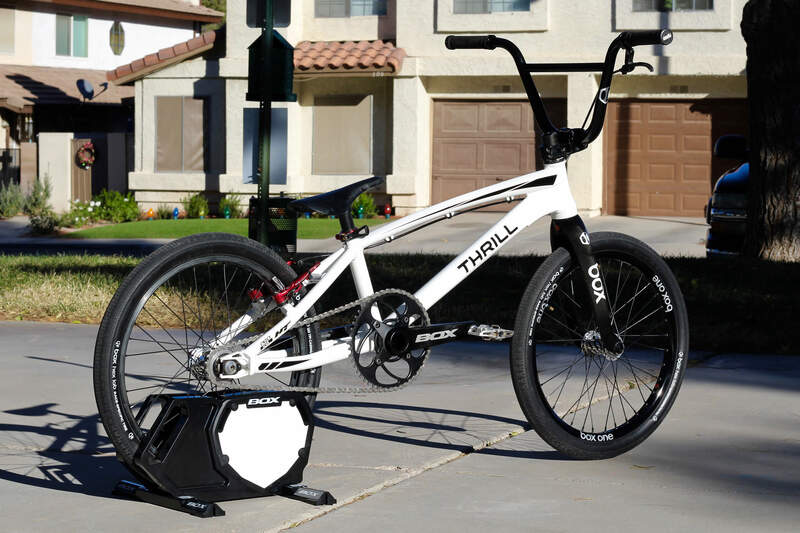 15: If you could change one thing in BMX to make it better for the pro’s and the sport in general, what would you do? 15: We have been drooling over the Box Components disc brake prototype … will you be joining the cool kids with one on your bike for 2018? Do you get excited by new stuff for your bike? Trent: Hell yea I get excited on new bike stuff! I’m for sure down to throw on a disk. Saves me truing my wheels after a race weekend of abuse from throwing my bike sideways in turns! 15: What’s on your 2018 calendar so far? Trent: Start the year off with getting that NZ sleeve back in January! 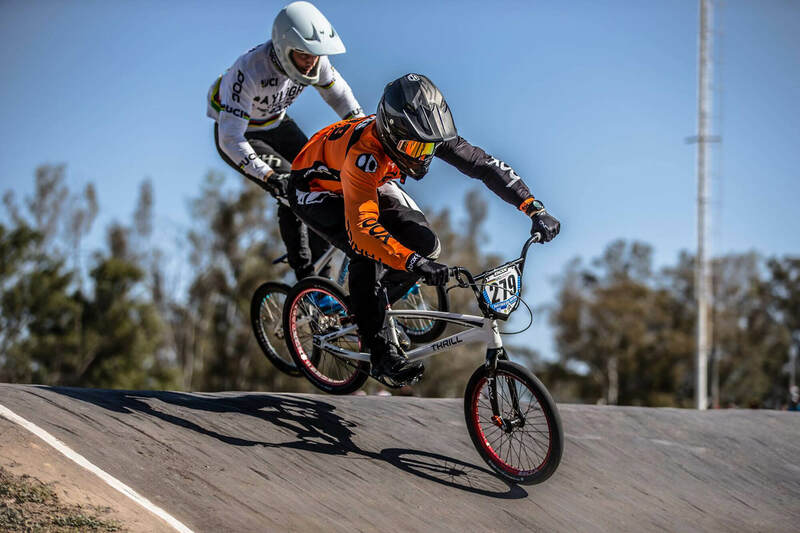 As for USA BMX races … all of them are planned. As for World Cups, not 100% sure due to what’s going on over at Cycling NZ as we haven’t had a specific program since end of 2016. They are just funding individual athletes targeted for Tokyo 2020. So it’s on the list of to-dos when I go home over Xmas. 15: Surely you’re an ‘athlete targeted for Tokyo 2020’? Trent: Yes, I’m in the “targeted for Tokyo athlete pool”, So that’s good news for me. Trent: Like I said above, the NZ BMX program is on the go slow, which makes things difficult for the up and coming. As for myself, I’ve been running my own program since 2015, really not a lot has changed for myself at the races. Other than logistically speaking there’s a lot more work on my end. As at the beginning of the year I’m filing yearly expense reports in hopes that Cycling NZ and I can come to a happy medium in supporting my expenses to World Cups. Thankfully having BOX Components in my corner has been the main dominator in keeping me going! Can’t thank those guys enough! Especially seeing things are now locked through until the end of 2020.